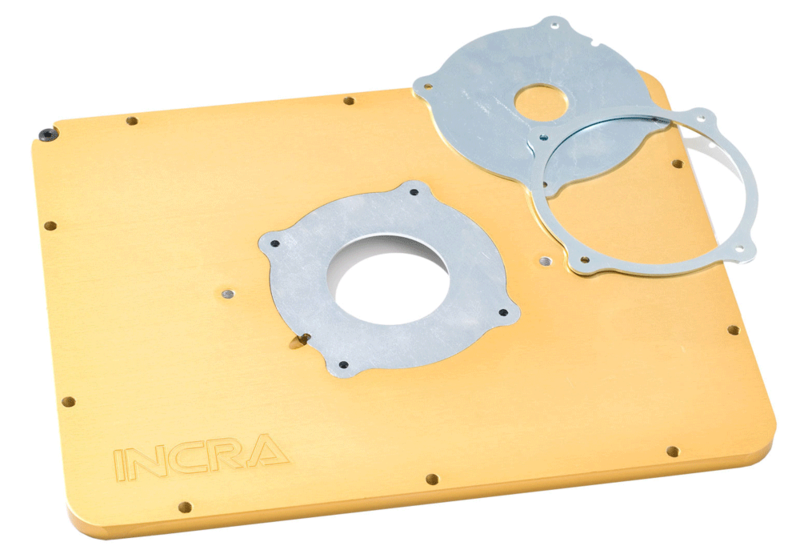 INCRA's 3/8" Solid Aluminum Mounting Plates are the new standard for achieving perfect cutting results at your router table. Precision-machined aircraft grade aluminum and bullet proof hard anodized plating translate to easy glide for your workpiece. 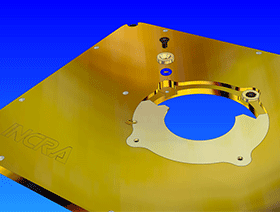 While the 3/8" thickness is robust enough for the heaviest of routers on the market today. 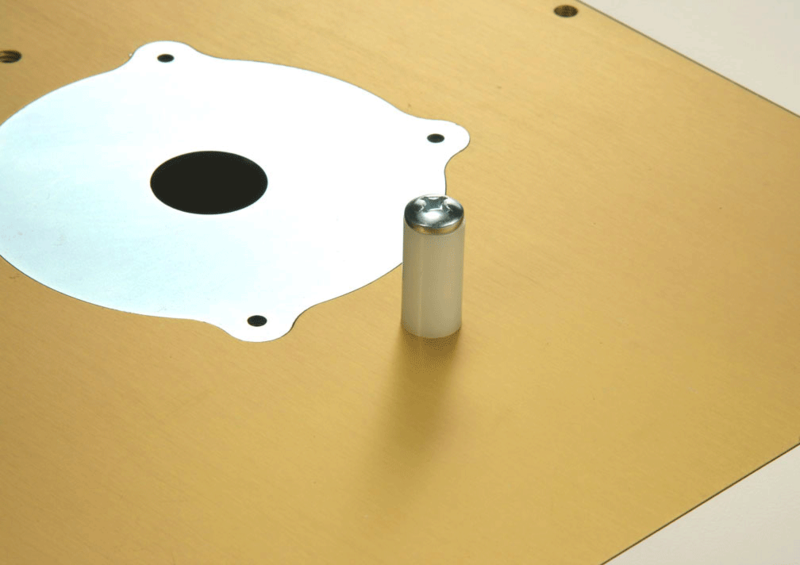 Designed for and included with every INCRA Router Table Top, these plates will fit the standard 9-1/4" x 11-3/4" recess in most other router table tops as well. Ten fine thread plate-leveling screws provide extreme control in leveling the plate to your table and rock solid support at any position around the plate. 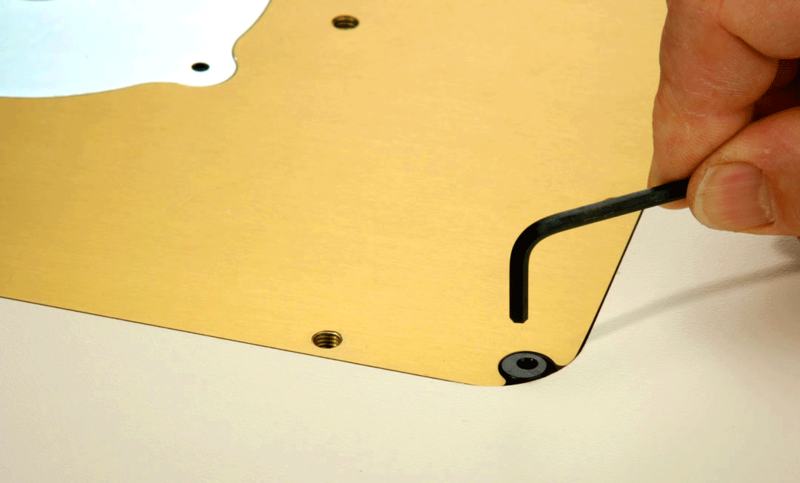 A simple quarter turn of the corner mounted Cam-Lock fastener securely locks the plate in the router table's recess. 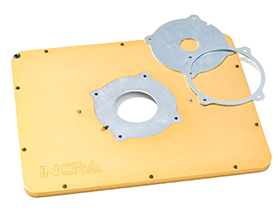 All of INCRA's Aluminum Mounting Plates feature the exclusive MagnaLOCK™ magnetic throat plate system. 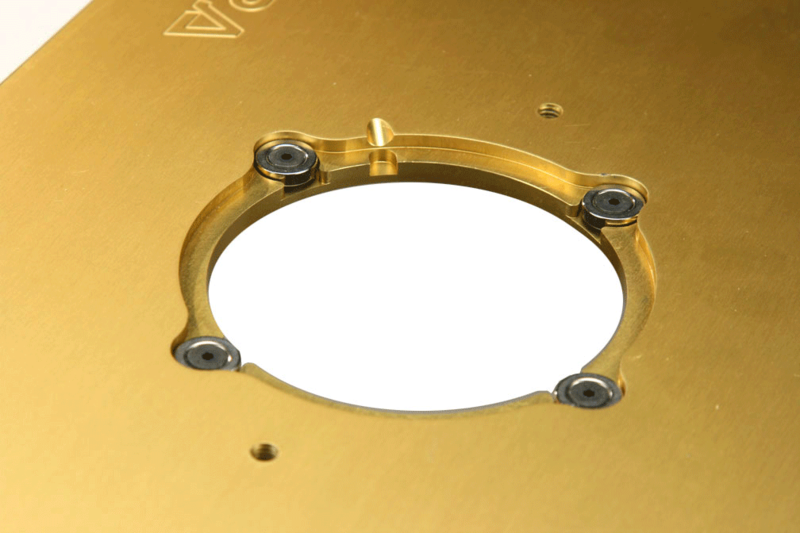 Changing any of the included throat plates is a snap with the MagnaLOCK™ System. Just drop in the selected plate. The high energy, rare-earth magnets hold the plate secure and perfectly flush every time. Note: Specify your router preference when placing an order with your INCRA dealer. (See PDF for compatibility chart). 3/8" thick precision-machined aluminum construction. Cam-Lock 1/4 turn plate locking. Starter pin included for freehand work. 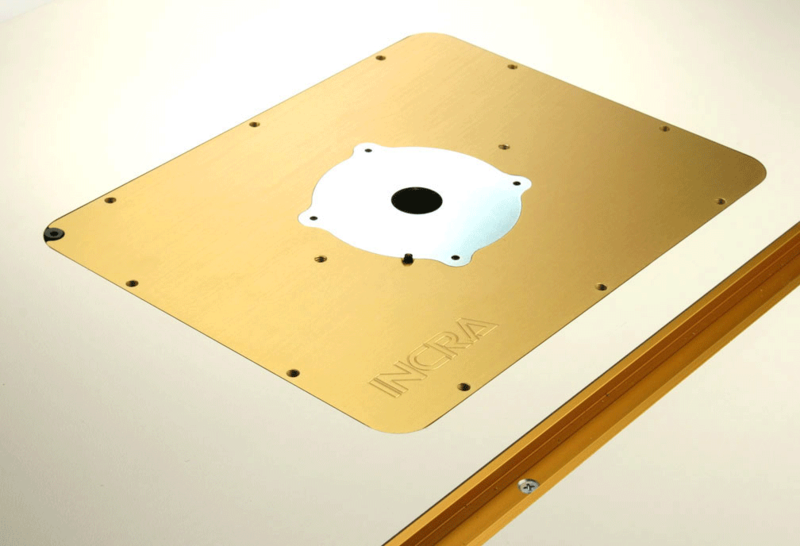 Click to download INCRA Router Tables & Plate Instructions in PDF format. 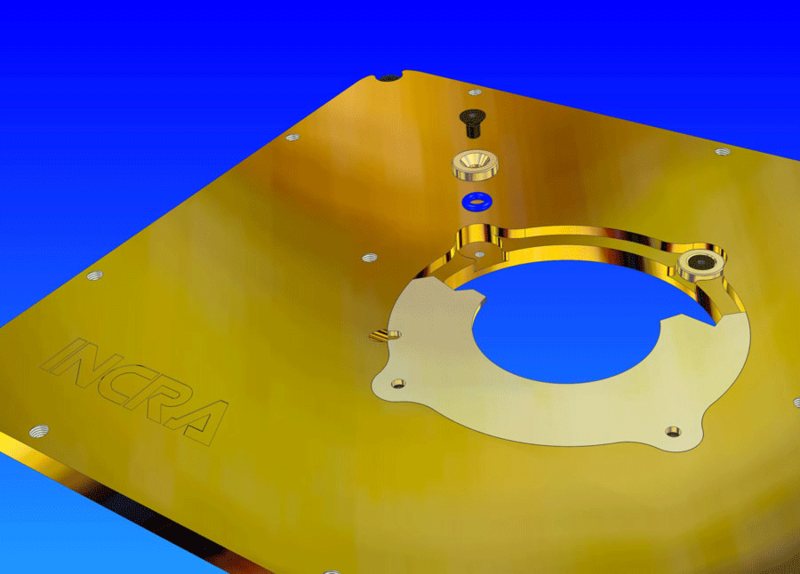 Click to download INCRA Router Tops & Plate Video in Windows Media format. INCRA 8pcs MagnaLOCK Ring Set (3/8", 5/8", 7/8", 1-3/8", 1-5/8", 1-7/8", 2-5/8" & 3-3/8") For upgrading an existing INCRA Table Saw System. INCRA Free Standing Router Tables This upgrade kit includes the INCRA I-Stop and our patented incremental positioning racks for the fence to give it the same positioning accuracy as the INCRA Lite carriage.